Who says a mojito has to be reserved to evening parties? 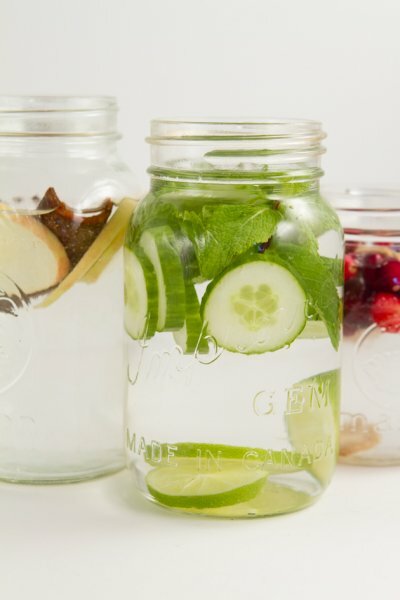 Add mint, lime and cucumber to filtered water, allow to sit overnight and you can knock back a cool one any time of the day. 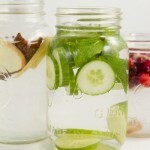 Grab a clean 1 liter mason jar or recycled glass jar with a tight-fitting lid. Throw ingredients into the jar. Cover and allow to sit in the fridge for at least 24 hours.